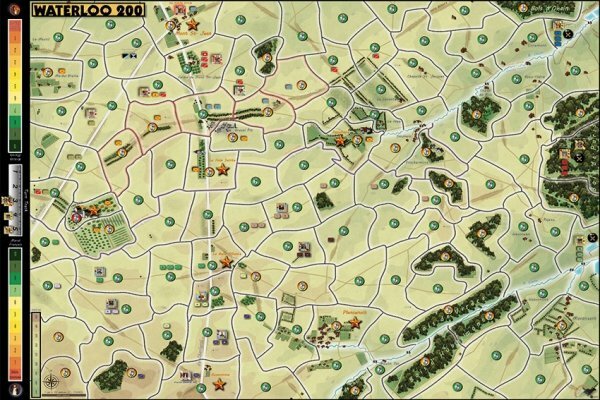 Waterloo 200 is a new concept game covering the epic Waterloo Battle fought in Belgium in June 1815, developed on wooden blocks, over a colorful 86x64 cm mapboard. 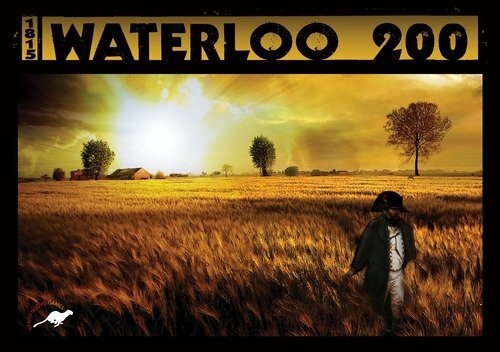 On June 18 1815, Napoleon's Armée du Nord and a coalition led by Wellington, clashed over the plains of Waterloo in Belgium for a decisive battle. 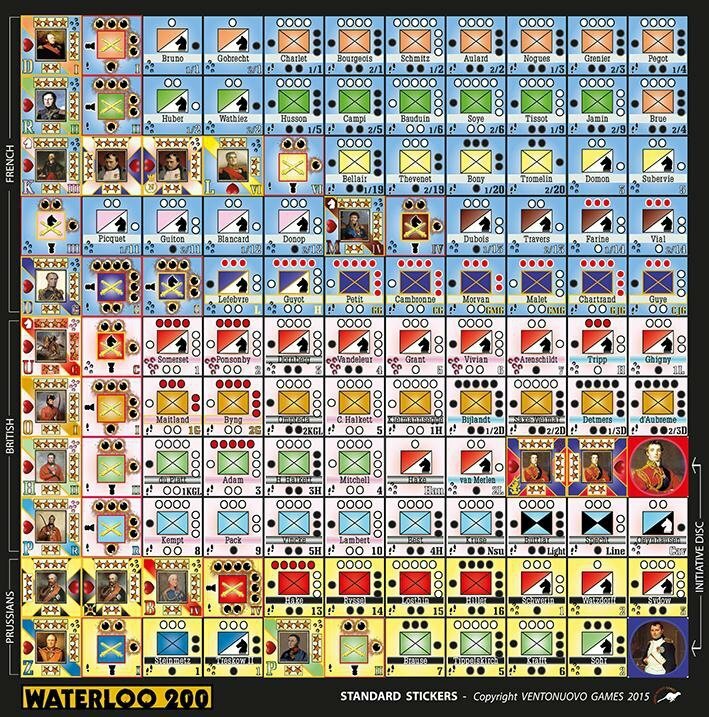 Waterloo is a game for two or three players, one controls the French Army and the other one/two control the Seventh Coalition. Although based on history, players in command of the two sides can modify the evolution of the battle and of the history in the Europe of XIX centuries. 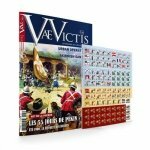 The rules are easy - 7 pages - and the game is 5 turn long (30-90 minutes). 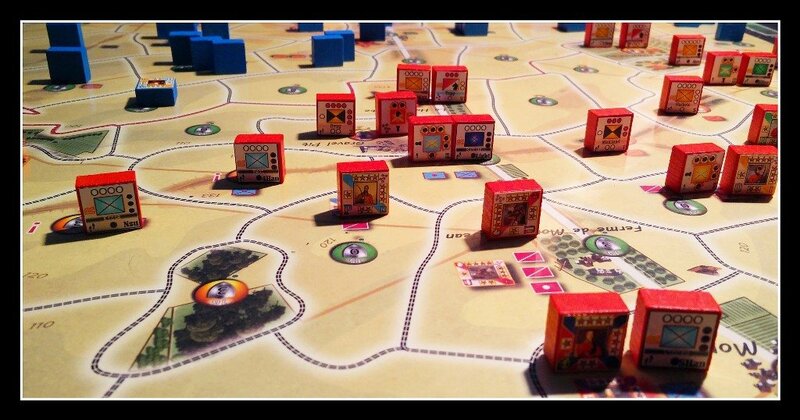 A full strength counter represents a Leader or a Brigade (50 guns, 1000 Cavalrymen, or 3000 infantrymen) depending on the unit type, training, morale and leadership.